Welsh punk rocker dives deep into the soul of Muscle Shoals. Carted to Alabama under the cloud of dark politics, a band drew a glistening straight line from punk to country to soul to grand theater. 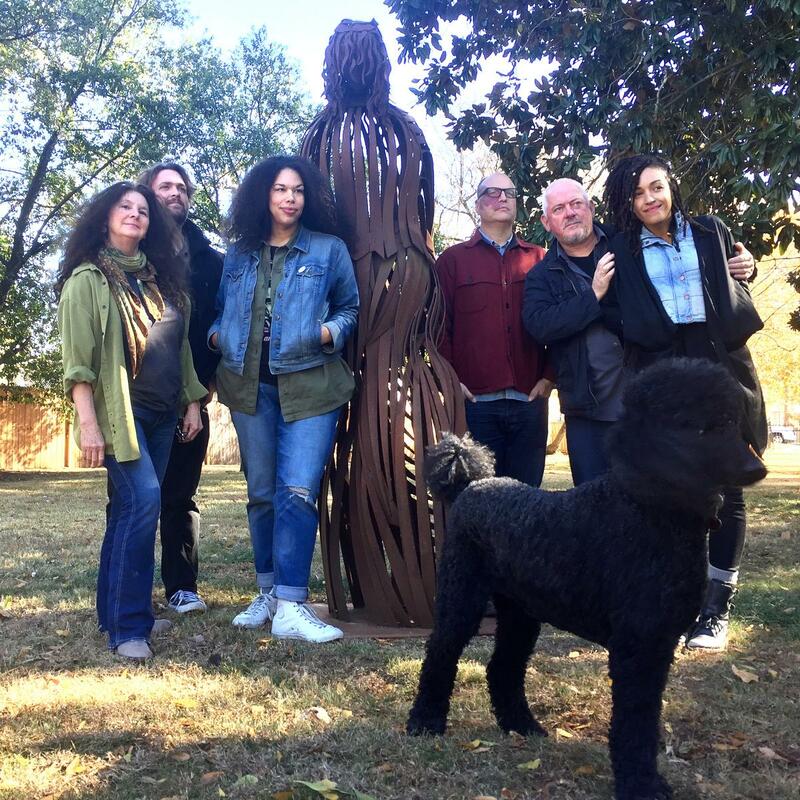 On November 8th, the day after the 2016 election, Welsh-bred, Chicago-based musician and visual artist Jon Langford1 and a crew of merry-makers and alchemists filed into the NuttHouse studio, a one-story former bank building in Sheffield, Ala. (population 9,039). The musicians from Chicago, Nashville, Los Angeles, and just over the Tennessee River bridge made the pilgrimage to a place of legend and myth, where music runs as deep as the river’s current, to see what might come of it all. 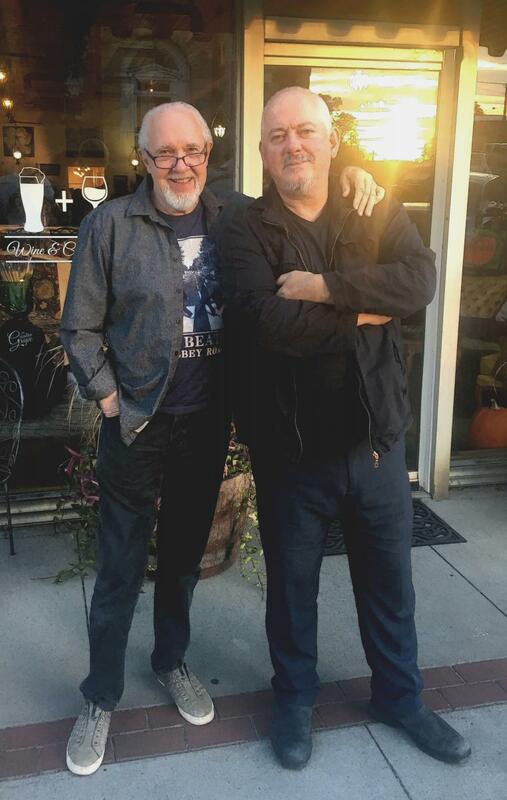 1 Jon Langford: Founding member of punk icons the Mekons (celebrating their 40th anniversary this year), as well as alt-country pioneers/rabble-rousers the Waco Brothers. Other projects include the Pine Valley Cosmonauts, Skull Orchard, Bad Luck Jonathan, and collaborations with Australian Aboriginal singer Roger Knox, the Rockabilly Filly Rosie Flores, and The Sadies. His paintings and prints of the storied figures of rock, blues, and country have been exhibited all over the world, including the Country Music Hall of Fame, where he was also an artist in residence at the famed Hatch Show Print. 2 Norbert Putnam: A member of the original Muscle Shoals rhythm section and a successful Nashville producer responsible for working with artists who blended country, folk, R&B, and pop, including Joan Baez, Dan Fogelberg, Eric Anderson, Buffy Sainte-Marie, Henry Mancini, Michael Nesmith, The Flying Burrito Brothers, and John Hiatt among many others. He also served as Elvis Presley’s studio bassist for the final seven years of Presley’s career. In 1970, he opened Quadrafonic Studio in Nashville which became a go-to recording destination for stars like Neil Young and Michael Jackson. The region of southern Alabama consisting of three cities: Sheffield, Florence, and Muscle Shoals. This nexus nestled alongside the Tennessee River is the unlikely home of a rich musical heritage focused on two studios: FAME Studios and Muscle Shoals Sound Studio. There, a generation of studio musicians and producers helped shape a uniquely Southern sonic stew out of rock, soul, R&B, and country. Located in Muscle Shoals, Alabama, it was founded in 1959 by producer Rich Hall. The studio churned out hits through the 1960s and 1970s by artists ranging from the Allman Brothers Band, Wilson Pickett, and Bobbie Gentry to Aretha Franklin, Etta James, Otis Redding, and Joe Tex. Nearly 60 years after its first hit, FAME remains a working studio. Located in Sheffield, Alabama it was founded in 1969 by the rhythm section known as The Swampers. Collectively, the studio became home for artists like Paul Simon, the Rolling Stones, Bob Seger, Wilson Pickett, the Staple Singers, Cher, Rod Stewart, Traffic, Lynyrd Skynyrd, and others seeking “the Muscle Shoals Sound.” The studio reopened in March 2017 as a museum. 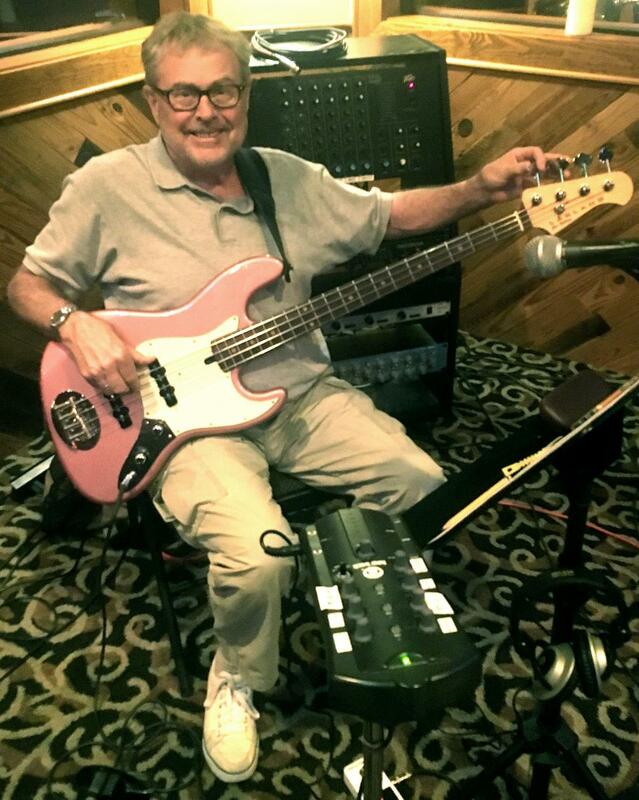 Along with keyboardist Barry Beckett, drummer Roger Hawkins, and guitarist Jimmy Johnson, the bassist is an original member of the Muscle Shoals Rhythm Section, also known as The Swampers. Hood supplied his sound on seminal recordings by Paul Simon, Bob Seger, the Staple Singers, Etta James, Percy Sledge, among others, and he became a touring member of Traffic and The Waterboys. His son is the Drive-By Truckers’ Patterson Hood. A member of the Muscle Shoals rhythm section The Swampers, the keyboardist’s playing appears on songs by Dolly Parton, Swamp Dogg, JD Souther, Willie Nelson, and Levon Helm, among many others, including, most memorably, the introduction to “Old Time Rock and Roll” by Bob Seger. Tim McGraw, Dolly Parton, and Conway Twitty have recorded his songs. The pedal steel guitarist is one of the most sought-after musicians in Nashville, playing on sessions by everyone from Carl Perkins and Bobby Bare to the Dixie Chicks and Bonnie “Prince” Billy. A Chicago-based musician and composer who is a frequent collaborator of Bethany Thomas. He also writes music for acclaimed theater companies the Neo-Futurists and Theatre Oobleck. A Chicago-based singer and actress who has sung and recorded with Robbie Fulks, Syl Johnson, JC Brooks, among others. Chicago audiences have seen her perform on the stages of The Second City, Chicago Shakespeare, Court Theatre, and Paramount Theatre. 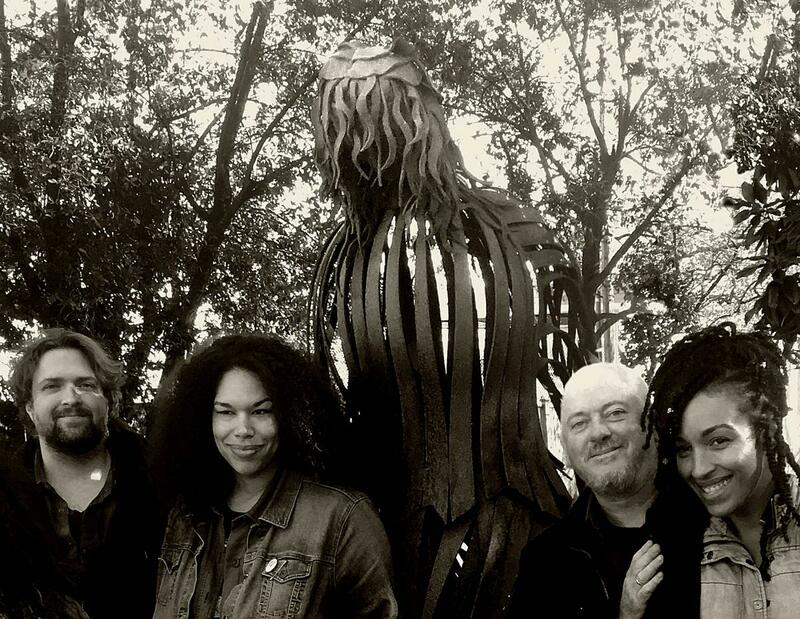 A Chicago singer and actress who previously worked with Jon Langford on his solo records Old Devils and Here Be Monsters, and with Aboriginal Australian country star Roger Knox on the album Stranger In My Land. Originally a Second City Chicago cast member, she can currently be seen on television shows including Bajillion Dollar Propertie$ (Seeso), TV Land's Nobodies, and The Comedy Get Down (BET). She recently re-located to Los Angeles. A singer from Nashville who has performed or recorded with Porter Wagoner, Delbert McClinton, Champ Hood, among others. She comes from a deep musical lineage: her great-uncle is Bascom Lunsford, the legendary folklorist and songwriter from Ashville, N.C.
Bonnie Raitt’s guitarist for six years until moving to the Shoals in 1980 where he became part of the Muscle Shoals Rhythm Section and played on records by R&B greats Bobby Blue Bland, Little Milton, Etta James, and Johnnie Taylor.